Lula Ann Bridewell (known simply as “Bride” in her professional circles) is a successful black woman working in the high fashion and cosmetics industry in California. She recently had a steamy sexual fling with a man named Booker, but was suddenly dumped: “You not the woman I want,” he tells her. She’s stunned, especially after they’d grown close enough for her to feel comfortable sharing some secrets from her past. During their brief tryst, Bride told Booker that as a child she had helped wrongfully convict a woman on molestation charges and the woman was finally going free. She shared her plans to visit her, apologize, and help restart her life, but Booker walked out. Bride is left heartbroken and confused, determined to learn the reason behind Booker’s flight. 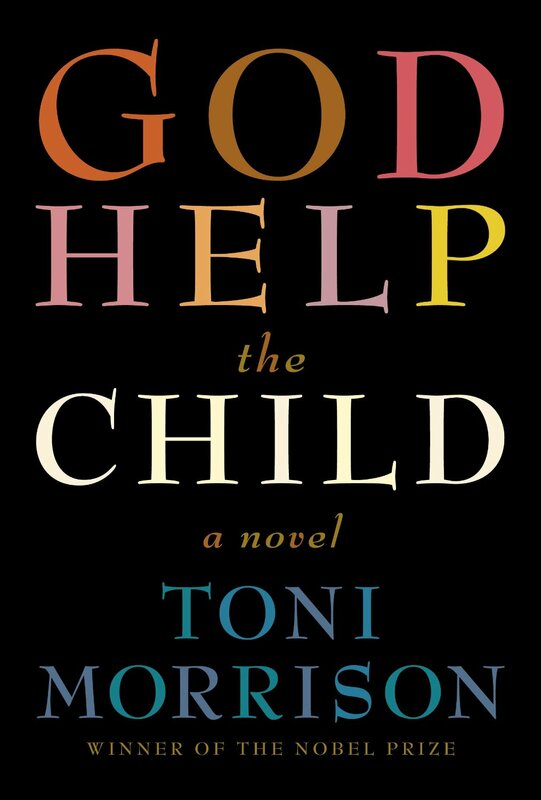 Toni Morrison’s short novel God Help the Child follows Bride through an identity crisis of sorts as she attempt to reconnect with Booker, and, unwittingly, reconnect with the girl she once was. God Help the Child is predominantly composed of alternating first-person chapters. We learn of Bride’s difficult upbringing in sections narrated by her mother, Sweetness: Bride was born far blacker than either of her parents and immediately shunned by Sweetness who refused to take responsibility for the terrible life she would surely have (“her color is a cross she will always carry,” her mother said). We also learn from Brooklyn, her white, dreadlocked, best friend and work associate that their friendship isn’t as loyal as Bride might think. While each narrator provides a new perspective with which to view Bride, they also reveal a common theme: secrets, often from one’s childhood, lurk far below what any cursory glance may reveal. Morrison reaches something important here: a person’s motivations in life, whether good or bad, are deeply rooted, often with troubling sources. We all may share a darkness, somewhere in our pasts. Child abuse is devastatingly present throughout the novel, and while the characters in God Help the Child search for emotional reason and an explanation for their heartbreaks, that clarity may not exist. Morrison takes this idea of past experiences and trauma defining a person’s identity one step further: what if we are not shaped by our memories, but instead exist as their composite? What if the child we once were was not replaced by adulthood, but cumulatively aged upon? What if we’re expansions of our identities, and not simply evolutions? This would mean all our selves, through time, coexist: our “inner child” as emotionally alive inside us as the person we were last year or yesterday. In one scene, Booker muses upon a cruel idea of justice: “Wasn’t there a tribe in Africa that lashed the dead body to the back of the one who had murdered it?” It’s a grotesque imagining of this life of composites, but one that exemplifies the emotional persistence of a trauma and the necessity for reconciliation to relieve that burden. Morrison slyly develops this idea by tiptoeing into magical realism: the buxom Bride, a crestfallen beacon of success, femininity and sexual prowess, suddenly finds her body changing back to her prepubescent self, as if needing to atone for her actions as a child. 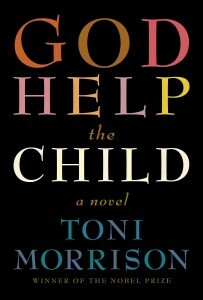 There is a tension in the prose of God Help the Child between Morrison’s grand conceit and the accessible, familiarity of her characters. Halfway through the book, she abandons her first-person narratives for sonorous third-person prose about Booker and Bride. This shift injects a much-needed lyricism into the novel but in turn renders God Help the Child‘s other sections questionable: if Morrison is willing to play the omniscient narrator here, why does she opt out in other parts of the novel? The first person sections provide a range of narrative voices, but they often read cliché and hardly worth the effort. “My life is falling down,” Bride says in one of her many expository inner monologues. “I’m sleeping with men whose names I don’t know and not remembering any of it. What’s going on? I’m young; I’m successful and pretty. Really pretty, so there!” These vapid digressions lack the confidence and maturity one would expect of a novelist as good as Morrison and read as undeveloped character sketches, especially so when placed in contrast with the parts of the novel that carry meaning and purpose. In a third-person reminiscence late in the book, recalling when Booker first meets Bride, and “the rain-soaked air smelled like lilac” and “streets with litter at the curbs appeared interesting, not filthy,” when her “lips open in an inviting, reckless smile” and he feels “a swell of desire but also the disintegration of the haunt and gloom…[that] had clouded him,” when he sees her as a “midnight Galatea always and already alive,” readers will wonder why God Help the Child wasn’t entirely written this beautifully. God Help the Child is a rewardingly thoughtful idea cheapened in its conversion to a novel. There’s so much in the book that is great but more that is questionable and unnecessary, resulting in a whisper of a novel that could have been richly profound.